Beautiful Skin with the Magic of Light! For more personalized information on how IPL PhotoFacial treatments can improve your skin, contact us for service details and consultation appointments. 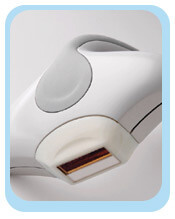 BodyLase® patients have a high degree of satisfaction with their results. You will see a gradual decrease in redness, broken capillaries, flushing, irregular pigmentation, brown spots, pore size and fine lines. After each treatment, the skin will feel smoother and have a more even tone. For optimal results, a series of 3 to 5 treatments is recommended. Treatments are spaced approximately three weeks apart. You may desire additional treatments once or twice a year to maintain results. “I’ve experienced the best facial ever with Kelly as well as my first Laser/IPL treatment. Kelly is an amazing professional. After only one treatment, I see incredible results and can’t wait to see the ultimate outcome. 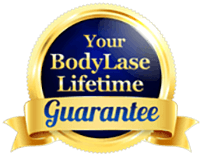 The staff at BodyLase® is exceptional…warm, caring, and knowledgeable. You feel completely pampered from the moment you walk in. I will recommend their services to everyone!” ~ Linda S.
Does IPL Photofacial Treatment Remove Dark Spots Permanently?